Eyewitness reports suggest that an ancient high-tech "Installation" in remote Siberia was responsible for sending guided plasma sphere weapons to destroy a meteorite over Tunguska in 1908. Four years from now, 30 June 2008, will be the 100th anniversary of one of the most mysterious catastrophes: the explosion of a body from space near the Podkamennaya (or Stony) Tunguska River in Siberia. There can scarcely have been another event in the past century to compare with it. The total power of the explosion exceeded the combined power of the atomic bombs dropped on Hiroshima and Nagasaki more than 2,000 times over! Despite the fact that such a tremendous event did not go unnoticed, the first attempts to discover what had actually occurred in the remote Siberian taiga were only made many years later, in 1927. Since then, dozens of research expeditions have visited the area, hundreds of scientific papers have been written and several hundred hypotheses put forward about the causes of the event. Not one of them, however, has been able to explain fully the complex phenomena that preceded and accompanied the Tunguska explosion. Some of the phenomena observed by eyewitnesses simply do not fit within the framework of existing theories. Much of what happened then cannot be interpreted at all from the standpoint of present-day scientific thinking. More than that, one gets the persistent impression that we have come up against something completely outside the bounds of our customary understanding of the world about us. Perhaps today we are closer than ever before to a solution to the mystery that will become a turning point in the development of human consciousness. But it will require a certain boldness, the ability to look with an open mind untrammelled by the dogmas current in science in order to properly assess the most inexplicable episodes of the event. The work carried out by generations of scientists and researchers provided us with a very rich stock of facts and scientific material, making it possible to shed light on the true causes and nature of the phenomena that took place almost 100 years ago in the area of the Podkamennaya Tunguska. We shall not go over the key elements of each of the main known hypotheses here, but instead concentrate on those facts that have always remained in the shadows and for some strange reason have never been given the attention they deserve. Amazingly, taken together with an ancient epic poem, these facts present a completely different picture of the event that took place early in the last century. At the very beginning of this study, we should stress that both before and after the Tunguska explosion there were several other events connected with it in a certain way, being links in a single chain. Therefore, using the methods employed in criminal investigations, we shall combine them in a single "case". In order to see the reality that has for so long escaped the eyes of researchers, we shall have to shift our gaze backwards and forwards in space and time to look at events separated by tens, even hundreds of years. To this end, we shall turn to the accounts of eyewitnesses, of which even in such a sparsely populated part of Siberia there were thousands. Even in the late 1960s it was possible to find some 3,000 people who remembered that extraordinary event! Before we turn to the facts, we ought to share what we surmised in the course of our investigation: an hypothesis about the Tunguska explosion that will be unexpected for many, but which was formed during the analysis of a large amount of data. Drawing on the testimony of thousands of witnesses to the Tunguska explosion, the findings of researchers, the text of the Yakut epic Olonkho, the reconstructed chronology of events and an analysis of the consequences of the explosions described not only in the epic but also through the efforts of scientific researchers, it is possible to put forward the reasoned suggestion that in the immense, uninhabited territory of northwestern Yakutia there is an ancient underground technical installation. A very, very long time ago, someone constructed, in what is known as "the Valley of Death", a complex that still today is protecting the Earth from meteorites and asteroids. Of course, such a suggestion is staggering. It is hard even to contemplate such a possibility. It follows that for thousands of years, something existed alongside us that exceeds not only our current achievements but even our boldest fantasies about what might be achieved - and we failed to notice! Naturally, none of those who researched the various scientifically inexplicable consequences of the Tunguska catastrophe could have imagined that all the traces left by the explosions were the result of the activities of some ancient cosmic defense complex left by unknown builders! 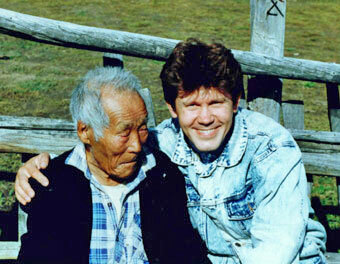 at the Evenk settlement of Siuldiukar in 1997. Here is one detail preserved in the ancestral memory of the local population, passed down through the millennia in an ancient epic poem. The legends passed on by word of mouth tell how this land was once suddenly wrapped in impenetrable darkness and the surroundings were shaken by a deafening roar. A hurricane of unseen force arose and the land was shaken by mighty blows. When everything had calmed down and the darkness had dispersed, an unprecedented sight met their eyes. In the midst of the scorched land, glowing in the sun stood a tall vertical structure that was visible at a distance of many days’ journey. For a long period of time, the structure gave out unpleasant, ear-splitting noises and gradually diminished in height until it had disappeared under the ground altogether. In place of the tall structure there was an immense, yawning, vertical "orifice". In the course of our exposition of the facts, we shall present several texts from the Olonkho which testify strongly in favour of the stated hypothesis because of the obvious technological nature of the events described in the ancient tales. It is surprising that the people who translated and analyzed these texts did not notice or even suspect this. Let us begin with a detailed reconstruction of events, trying to form an integral picture of what preceded and accompanied the 1908 catastrophe. The first to learn of the coming calamity were the shamans of the native tribes. Two months before the explosion, rumours of the approaching "end of the world" began to spread across the taiga. Going from one settlement to another, the shamans warned the people of an imminent cataclysm. The people began to move their herds from the upper reaches of the Podkamennaya Tunguska to the Nizhniaya Tunguska and further, towards the River Lena. The exodus of the Evenk began immediately after a suglan (gathering) of all the nomadic clans who moved around in close proximity, which took place in the month of Teliat (May). A secret conference of the elders had resolved that the cyclical course of their wanderings should be changed and that the clans should move close together along the new course. The ancestors said that they had to move from their traditional places. No one should be there after the month of Teliat in the month of Muchun [June], thus said the ancestors... The upper people want to visit Dulia... No one should see that. Obeying some inner sense and supporting, as it were, the pronouncements of the shamans, the wild animals began to leave. The birds flew from their nesting grounds, the swans left the lakes and the fish disappeared from the rivers. An immense expanse of taiga, measuring several tens of thousands of square kilometers, lost its fauna. Only those who did not believe the shamans’ words remained in the danger zone. All this speaks for itself. Obviously some early warning of the approaching event was given through the shamans who "spoke with the spirits of the ancestors". The animals, birds and fish reacted instinctively to the approaching danger, reacting to the negative influence of the Earth’s increasing electromagnetic field in that part of the taiga. After studying the texts of the Olonkho, talking with local hunters and those still alive who remember the distant events, we formed the impression that the complex in question is scattered across different parts of the taiga and located mainly underground. Destruction or deflection of meteorites and asteroids is achieved using a force field which is conveyed in concentrated form by some kind of electromagnetic formations that resemble glowing, fiery spheres. In essence, these are something like ball lightning, with the difference being that the largest ball lightning known to science is about two meters in diameter, whereas the spheres used to deflect or destroy meteorites are of gigantic dimensions - some 60 meters in diameter! It was their flight that was seen in 1908 by thousands of people across much of Siberia, with the result that the witnesses of the Tunguska event attributed the whole thing to the appearance of a series of huge ball lightning! The "plasma spheres" are apparently generated by a power plant located deep inside the Earth at a site that was quite deliberately chosen by someone. It is associated with a geophysically distinctive area of the planet: the East Siberian magnetic anomaly. The periodical Tekhnika Molodiozhi (issue 1, 1984) called it "a magnetic super-anomaly, the source of which lies at a depth of half the Earth’s radius". In other words, the power plant of the complex draws on the energy of the planet and is itself to some degree, it would seem, one of the causes of this super-anomaly. 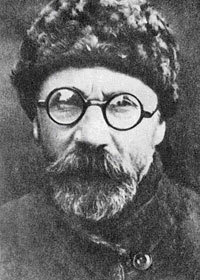 Leonid Kulik, the first researcher into the Tunguska explosion. Preparation for countering the approaching Tunguska meteorite (it was indeed a meteorite; Leonid Kulik was in a certain sense correct) began two months before the explosion, as is confirmed by the behavior of the shamans and the fauna of the taiga. Roughly 10 days before the explosion, the "Installation" located in the Valley of Death shifted into an active phase. It was the activation of the power plant, and the increase in its energy level occasioned by the complex beginning its preparations for the generation of energy (electromagnetic spheres) acting upon the environment, that became the cause for the appearance of major atmospheric anomalies associated with increased tension in the Earth’s electromagnetic field. 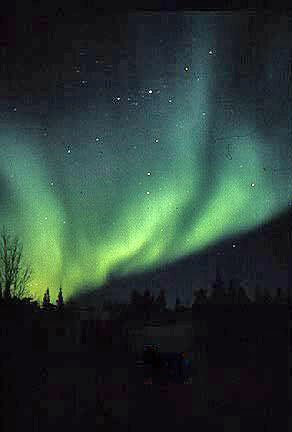 The effect of the Installation was so powerful that in the 10 days before the explosion, in many countries of Europe as well as western Siberia, the darkness of night was replaced by an unusual illumination as if those areas were experiencing the "white nights" phenomenon of high-latitude summers. Everywhere there appeared, shining brightly in the twilight of dawn and dusk, silvery clouds stretching east to west that formed along the lines of force, like those that occur between the poles of a magnet. There was a sense, as noted by E. Krinov, one of the researchers into the Tunguska explosion, of the approach of some unusual natural phenomenon. Many years later, researchers from Tomsk came across a forgotten publication by a Professor Weber about a powerful geo-magnetic disturbance observed in a laboratory at Kiel University in Germany for three days before the intrusion of the Tunguska object, and which ended at the very hour when the gigantic bolide exploded above the Central Siberian Plateau. Artist's impression of anomalous glows observed after an explosion. Ten days passed and then, on the morning of 30 June 1908, a body from outer space entered the Earth’s atmosphere at immense speed. It followed a trajectory from southeast to northwest. The determination of the exact trajectory of the meteorite plays an important role in the investigation of the event, primarily because - as we shall see - there were several objects moving in the sky above the Siberian taiga, approaching the explosion site from different sides. It was the discrepancies in the accounts of eyewitnesses - who at one and the same time observed objects above areas of Siberia far remote from one another, moving on different courses but towards a single point - that confused researchers, prompting the hypothesis that it was probably a spaceship that had been maneuvering above the Siberian taiga. Thirty-eight minutes before the destruction of the Tunguska meteorite, the Valley of Death complex moved into its culminating phase. The generation of the spheres - which, for the sake of convenience, we shall call "terminators" - began. At the Stepanovsky mine (close to the town of Yuzhno-Eniseisk) an earthquake began 30 minutes before the fall of the meteorite. One witness to these events was next to a small lake when the ground started to shake beneath his feet. Something like an earthquake began. Suddenly, down inside him, an inexplicable, inhuman sense of fear arose. It was as if some force was driving him away from the lake. At that moment, the water in the lake began to drop down, and as it flowed away, as if into a crack, the bottom appeared which was shifting apart like two leaves. Indentations could be seen on the edges of the two gigantic leaves. The witness was seized by an impulsive animal terror and fled as fast as his legs could carry him. This episode concurs astonishingly well with the texts of the Olonkho epic and the tales old men tell of the place called Tong Duurai, across which the Ottoamokh ("holes in the ground") stream flows, where there are shafts of incredible depth known as "the laughing chasms". From these, the legends say, fiery whirlwinds fly. After a long period of silence, roughly a century before each major explosion or series of explosions there would be a smaller-scale event. The legends say that a thin column of fire emerged from the "iron orifice". At the top of this, a very large fireball appeared. It was escorted in flight by its retinue, "a swarm of fatally bloody whirlwinds" that wrought havoc in the vicinity. It is remarkable that Yakut legends contain so many references to explosions, fiery whirlwinds and the launch of flaming spheres disgorged by "an orifice belching smoke and fire" with a "banging steel lid", in the depths of which lies a whole subterranean country. It is inhabited by a fiery villain "who sows contagion and hurls a fiery ball" - the giant Uot Usumu Tong Duurai (which can be translated as "the criminal stranger who pierced the earth and hid in the depths, destroying all around with a fiery whirlwind"). About 15 minutes later, the same sort of bangs were heard again; another 15 minutes later they were repeated. The ferryman, a former soldier and generally an intelligent, worldly-wise man, counted 14 bangs in three groups. His duties meant he was on the riverbank and saw and heard the whole phenomenon from start to finish. Many people saw the pillar of fire, but the bangs were heard by an even greater number. There were peasants in town from the village of Korelinaya that lies 20 versts [21 km] from Kirensk on the nearest Tunguska. They reported that they had had a powerful earth tremor such that window panes were broken in the houses… the mark on the barograph roll bears this out. In the archives of the former Irkutsk Magnetic and Meteorological Observatory, investigators managed to find notes written by A. K. Kokorin, who was an observer at a weather station on the River Kezhma, about 600 km from the Tunguska explosion site. In his observation journal for June 1908, the section headed "Notes" contains an exceptionally important entry. It shows that there was certainly more than one body in the air at that time. At that time, T. Naumenko was observing the flight of a sphere from the village of Kezhma which stands on the River Angara. He asserted that the body was larger than the Moon and crossed in front of the Sun, which at that time was at a height of 27º above the horizon. At that same moment, the Tunguska meteorite flew over the village of Mironovo (58º 14’ N, 109º 29’ E). The first to see the flight of one of the "terminators" carrying a powerful electromagnetic charge were the inhabitants of the village of Alexandrovka (southern Altai territory), which is almost 1,500 kilometers away from the site of the explosion. ...30 June 1908 was a clear day… I was sitting opposite a window looking NW. Our village, Alexandrovka, extended along a gorge… Across from the village on the Semi ridge rose the peak of Mount Gliaden. At 7 in the morning, the Sun had already risen but not yet appeared from behind Gliaden. And then suddenly a bright sphere appeared in the sky; it rapidly grew in size and brightness. It was flying towards the NW. The flying sphere was the size of the Moon, only brighter; not dazzlingly bright, though: you could watch its flight without looking away. It flew very quickly. The sphere left behind it on its course a white smoky trail wider than the sphere itself. As soon as this sphere appeared, the whole locality was lit up by some unnatural light and that light did not increase evenly, but with some sort of fluctuations, wave-like flashes. At that same time, the flight of a heavenly body was observed in the south of the Krasnoyarsk territory, 60 km north of Minusinsk, 930 km from the site of the explosion, but moving along a different trajectory. Roughly at the same time, an object was seen in the region of the Nizhneye-Ilimskoye settlement, 418 km from the explosion site. And then, it has been reliably established, a heavenly body flew over the village of Preobrazhenka, which is on the Nizhniaya (Lower) Tunguska River. And all these objects were flying in the same direction - towards one destination: the Shishkov and Kulik blast areas and Voronov’s crater! The picture that forms from eyewitness accounts clearly shows that the objects observed from various parts of the taiga could not have been meteorites. There were many of them and they followed different trajectories, but towards a single point. Amazingly, the scientists and researchers who so carefully questioned numerous witnesses were unable to spot in their accounts any difference between the behavior of the meteorite and that of the "terminator spheres" that closed in large numbers from different directions in order to destroy it. It is a well known fact that the flight of a meteorite through the atmosphere is always very short (a matter of seconds) and very fast (between 6 and 22 km per second), at an angle to the Earth’s surface along a straight trajectory, leaving a trail of fire and smoke that extends for 200 to 300 km and takes some tens of minutes to disperse. The reports of researchers and explanations of scientists speak of a single Tunguska object. Yet the eyewitness accounts of the event itself and the evidence gathered by researchers stubbornly indicate that there were several objects in the sky, following different trajectories from different directions, but most significantly moving slowly, parallel to the Earth’s surface, sometimes stopping, changing course and speed - in other words, manoeuvring - which entirely excludes the suggestion that the objects seen were comets or meteorites. Meteorites and comets do not fly like that! After the "terminators" were created and disgorged through the Installation’s shafts, they began moving to some control point - the place of their last reconnaissance before the destruction of the meteorite. At a certain stage in their flight, the spheres stopped to adjust their position in respect to the falling meteorite and then, tearing off at enormous speed and with a terrible roaring, rushed to meet it. Below is an extract from the account of a witness who lived in the village of Moga on the Nizhniaya Tunguska, 300 km east of the site of the explosion. It was quoted in Yury Sbitnev’s book Echo and speaks for itself. …I remember that time well - I was eleven then. I got up quite early… It was clear and cloudless… Our house was here, where it still stands, on a hill. I was hammering the scythe. I wasn’t down on the floor for long. I jumped up, thinking, "Where’s Grandpa? Don’t say he’s been knocked off!" He was lying on his stomach on the very edge of the stove and kept asking me, "Stiopa, what is it? Stiopa, what is it?" He was wet and white, white… I think the ground was still shaking, the floor shifted under my feet, or perhaps my legs were trembling. It was dreadful! ...Nobody could understand where it had got to, that sun. It had been shining just a moment before. And so strong that the shadows disappeared instantly. And the light, clashing with light, stripped the world of its familiar, pleasant shapes. Everything, from the smallest blade of grass to the cedar tree, suddenly seemed different from how it had always been. Map of the region showing the flight paths of the different objects. Many saw it and there were many different versions. But everyone was agreed that the movement of that mysterious fiery body stopped and it hung motionless for a time above the ground. And there was a roaring… And then there was something like an explosion - the ground shaking and a rapid movement away, taking off, and the same rumbling, but now dying down, and the fading of the raging fire - less and less, until you could barely make it out in the vast white expanse of sky. A careful study of the Olonkho prompts an important conclusion. Some elements of the epos describe a pattern that precisely reflects the phases in the development of events that periodically occur above the Siberian tundra. It becomes clear why the Olonkho texts contain such amazing echoes of the eyewitness accounts. Spreading out above like a mushroom. On 2 (13) April 1716, on the second day after the Easter festival, around 9 in the evening there appeared in a pure, cloudless sky a most brilliant meteor, the gradual development of which is attached hereto. In the northeastern part of the sky there rose first from the horizon a very dense cloud, pointed towards the top and broad at the base. It rose so quickly that in no more than three minutes it reached half the height to the zenith. At the very moment when the dark cloud appeared, in the northwest there appeared a huge shining comet that rose to 12º above the horizon, and then from the north another dark cloud arose, from the west, rapidly rising to the cloud that approached it somewhat slower. Between these two clouds in the northeast a bright light formed in the shape of a column, that for several minutes did not change its position, while the cloud that appeared from the west moved to meet it with exceptional speed and collided with the other cloud with such terrible force that [there was] a broad flame in the sky from their collision and [this] was accompanied by smoke, while the glow extended from the northeast right to the west. The real smoke ascended to 20º above the horizon, while the rays of flame intersected it constantly in all directions, just as if there was a battle taking place between many navies and armies. This prodigy continued for a full quarter of an hour in its most dazzling form and then began to dim little by little and finished with the appearance of a host of bright arrows that reached to 80º above the horizon. The cloud that had appeared in the east dispersed. After it, the other vanished completely, so that by 10 in the evening the sky had again become clear and shone with glistening stars. One cannot imagine how terrifying this phenomenon was at the moment when the two clouds collided, when they both shattered, as it were, from the mighty blow, and when they were also accompanied with exceptional speed by a host of small clouds headed westwards. The flame that flew from them was like claps of thunder, exceptionally bright and dazzling. Analyzing the consequences of the explosions that have taken place above the Siberian taiga in the past 100 years, you get a heart-wrenching sense of gratitude and awe towards the intellectual power of those who, thousands of years ago, built a complex to defend our beautiful blue planet and all her inhabitants. Even the first blow, struck when a meteorite is still many kilometers above the Earth, causes enough of a deflection in its flight path to shift all that subsequently occurs, and all the consequences of the explosions that destroy the meteorite take place away from densely populated places to a less dangerous area!